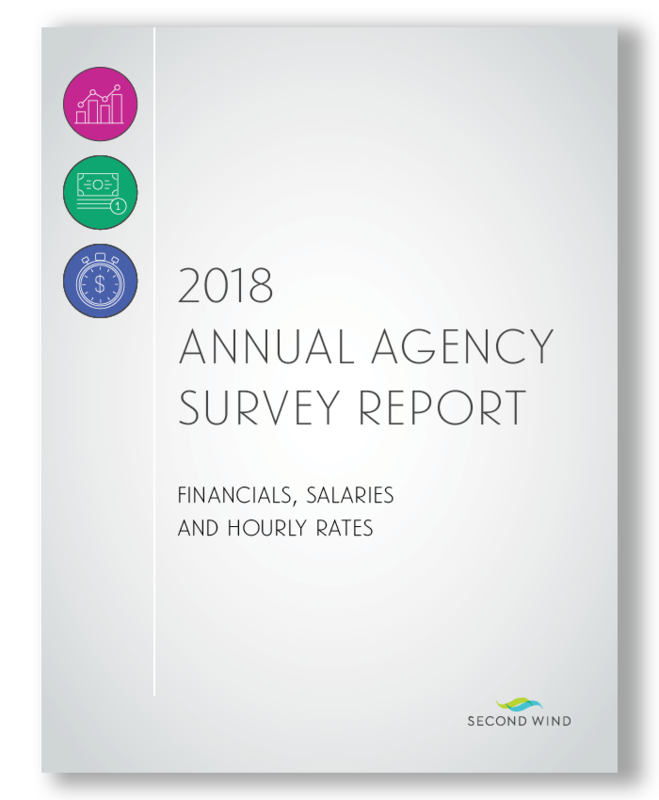 Each year, Second Wind surveys member agencies on a wide range of topics including sales figures, gross income, operating expenses, salaries, hourly rates, best practices and much more. We tabulate the data and publish the results in the Second Wind Annual Survey Report. This survey allows your agency to compare your data with the average data of other Second Wind agencies. This is the most complete survey of smaller to midsize agencies that exists today. It’s one of the reasons membership in Second Wind is so valuable. Join now and receive access to this survey and our other members-only benefits. Membership in Second Wind is $694 per year and allows access to our services, content and advice for your entire staff. Or, non-member agencies may purchase a copy for $199. View a sample Annual Survey from 2014.